This week: I heard and fell in love with this INXS song all over again. Those lyrics. Was it written for Kylie? I finished re-reading The Alchemist a nostalgic favourite I first read after a trip to Spain. 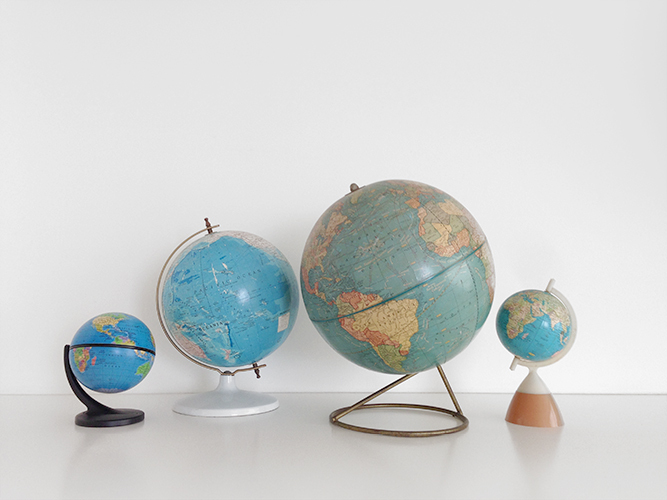 Also did some successful globe spotting. 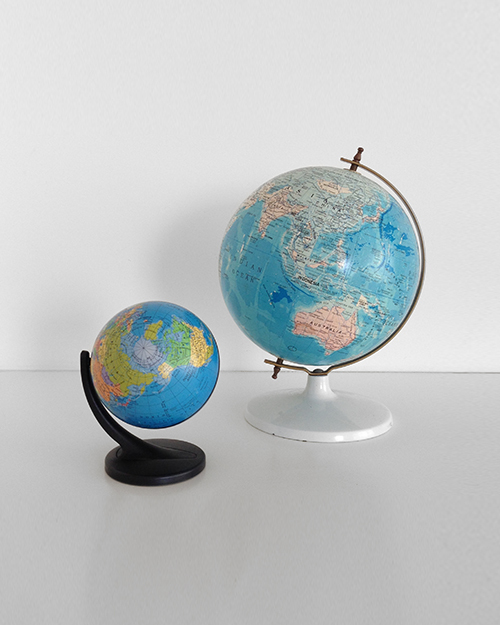 Funny how it all comes together… So what is successful globe spotting? Not as much fun as globe trotting but it’s nice to look at the world, any way you can. 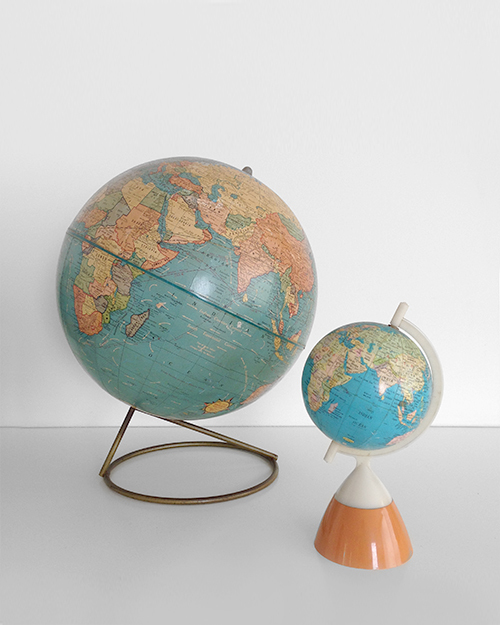 To me, with globes, kind of like annoyingly catchy Meghan Trainor, it’s all about that base. Oh and the blue. Not so much a fan of ye olde worldey sepia tones.